Now this is a move that totally makes sense to me. 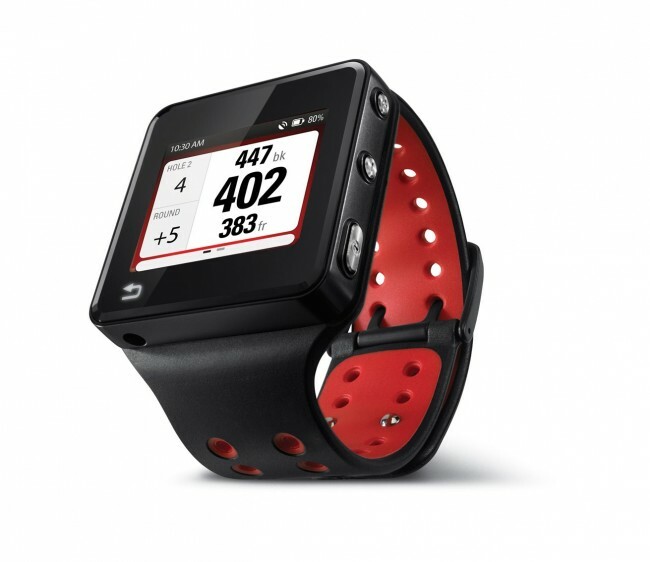 You have a fitness tracker with built-in GPS, why not add some golf capabilities to it? Rather than using a battery draining golf app on your phone for 18 holes or lugging around one of those big ol’ Sky Caddies, wouldn’t a watch replacement fit nicely? I’d say so, and that’s exactly what Motorola has announced today in the MotoActv Golf Edition. In this new MotoActv release you will have yardage on 20,000 golf courses, giving you distance to the front, back and center of greens. You can keep score right from your wrist and then take your finished rounds online to view them through the MotoActv site. With built-in GPS, your rounds show up virtually so that you can see where each shot was played from. You can also compare your game to the way pros approach particular courses, well, aside from the “muni” that you and Joe Bob play for $9 on Friday’s twilight special. The Golf Edition will be available for $299 on April 1. On a related note, I’ve reached out to Moto to figure out the differences between this new version and the current MotoActv. Would certainly be thoughtful of Moto to offer current MotoActv owners a chance to add on this golf software, assuming the internals are all the same. Update: Good news current MotoActv owners! Motorola has informed us that a “beta version of the software enabling golf features” will be available to all MotoActv users in early April. Other details will be available as we get closer to that time frame, but this should excite those of you that already own the device.